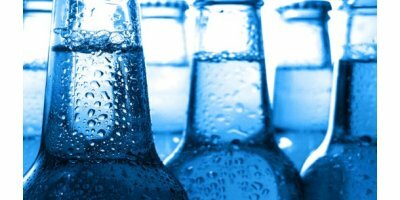 Metering and disinfection for the beverage industry. Disinfection processes are essential for smooth, hygienic operations. ProMinent offers solutions suitable for the entire production and bottling section. And the good news is that this investment pays off in no time. A brewery process presents one of the biggest challenges possible to a microbiological control program. Microorganisms are responsible for both the production and the degradation of the product. Microbial control is also critical for production and filling equipment. A brewing environment offers various applications where chlorine dioxide may be employed, like as terminal sanitizing rinse in the CIP systems or sanitizer for pasteurizers or filler head assemblies. Food and beverage processing companies have unique challenges requiring advanced food and beverage water treatment and wastewater treatment solutions. These challenges include optimizing water efficiency and exceeding regulation compliance standards. MIOX provides advanced chemical solutions to the food, beverage and farming industries for all water treatment applications including source water treatment, surface or groundwater, process water treatment, cooling towers on the facility, bottle and surface disinfection, and clean in place (CIP) for syrups and raw sugars. Our team designs custom solutions to deliver safe, effective, and economically attractive alternatives to minimize or eliminate the use of expensive and hazardous delivered chemicals. Pure Aqua has a wide range of solutions for the varied sources of water and different types of contaminants. Pure Aqua understands the stringent potable water drinking regulations and has executed potable water projects exceeding the state requirements. Components are specifically selected to meet NSF/ANSI 61 standard and we work closely with consultants to ensure project approval. The food and beverage industry is suffering from severe economic pressure. Efficient and continuous production processes are therefore business critical. By choosing Kurita concepts for your cooling water, boiler water and waste water plants as well as your reverse osmosis systems and autoclaves – all of which are specially adapted to your needs – you opt for economic and ecological treatment, leading to more productivity and cost-efficiency. Due to the diversity of products in the beverage industry, there is also a great variation in waste water composition (flow and load) from this type of industry. This requires special attention and tailor made solutions for the design of a waste water plant for this industry. The rapid growth of megastores and an increasing trend toward bulk purchasing contracts are exerting a downward force on packaged food profit margins. In the face of these challenges, plants must figure out how to increase production volumes while decreasing operating costs. ChemTreat has the solutions to help. By ChemTreat, Inc. - a subsidiary of Danaher Corporation based in Glen Allen, VIRGINIA (USA). Brewing Equipment Sanitisation: Chlorine dioxide is a safe and effective sanitiser for use in a variety of brewing and packaging applications. CleanOxide Chlorine Dioxide can be applied to water systems, processing equipment, and environmental surfaces to reduce or eliminate brewery spoilage organisms. Monitoring process streams and waste streams continuously in a brew house can provide many benefits to operations. Monitoring product in process for color or concentration provides consistency and quality measures. Product loss can be quantified by monitoring waste streams. Processes can be improved to increase efficiency and minimize effluent waste. Effluent waste streams can also be monitored for organic loading with BOD and COD correlations to ensure compliance for discharge. Wastes that are rich in starch such as those that occur in potato processing industries require a balanced addition of other macronutrients such as nitrogen and phosphorus. In order to optimize the dosing of these nutrients it is essential to have a good idea about the organic load entering the biological treatment reactor. Measurement of colour can help with quality control and flavour consistency. Food and beverage producers are constantly looking for production optimization while achieving the highest levels of quality and compliance. Lenntech provides sustainable complete solutions for ingredient, water and waste water treatment in food and beverage industry considering a wide range of technologies and strategies.